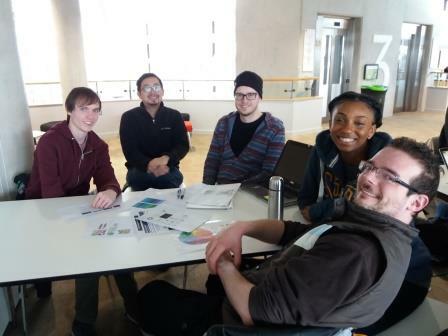 Student Environment Research Teams (SERTs) are teams of volunteer/placement students in partnership with academic staff mentors and professional practitioners. SERTs have a special ethos of shared leadership and responsibility between students and staff so enable students to try new challenges and gain great employability skills. Find out more by watching the video here. Using the dropdown menus available below, you can sort through the available projects that have been uploaded. You can mix different search terms in order to narrow your criteria. This SERT is helping develop the look of a new website, NatureVolunteers.uk, that links people and projects in nature volunteering. It is informing the development of the logo, key words and the colour design. The website will enable volunteers to find and match with projects that best suit them ranging from citizen science data collection to practical habitat management. It will also help conservation organisations to tailor their nature volunteering opportunities to maximise their success both for nature and volunteers. The website will help volunteers find projects that match their interests . It will also help nature conservation organisations see what works well for different sort of projects and people and so inform their design of future projects . I got involved because I have been volunteering with a conservation charity for the past four years and witnessed what opportunities there are for people who may be trying to get into the sector. Skills have involved team working from day 1 where we discussed what the layout should look like and then getting the colours to suit everyone. This has helped with communication skills whereby if there was something that would benefit the project, then I put my views across to be discussed. Being a long-standing nature volunteer, I am very aware of the benefits it can provide, both in a career / personal development sense, and also improving mental and physical wellbeing. Helping to develop a platform that would make it easier for people to experience the wonderful things that I have, was a very strong motivation for me. My role included advising on website and logo design and researching relevant organisations / websites. This experience has aided additional development of my communication and interpersonal skills, as well as graphic design and planning. 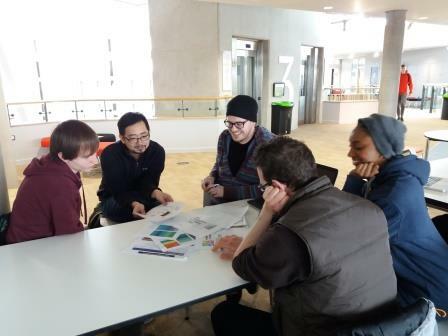 We are evaluating the development of a new unit "Wildlife Survey Skills" which is being co-created by staff and students in BSc Ecology & Wildlife Conservation . It is being piloted this year and we are collecting and analysing feedback from students on what works and what can be improved. We are also compiling presentations from the fieldtrips to illustrate what they involve. This work will enhance the student experience on a unit which will enable students to gain key skills while gathering data that will be used by professional practitioners in a range of conservation monitoring projects. 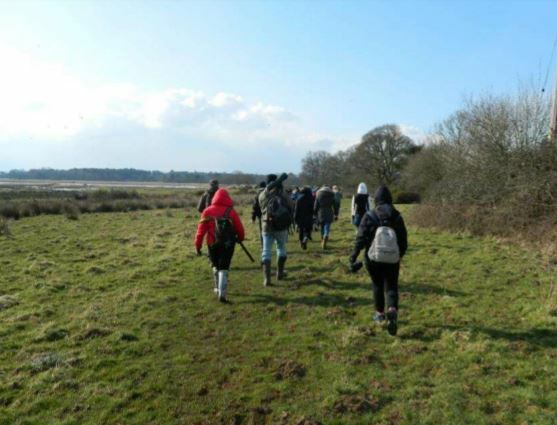 We have started a project in colloboration with Dorset’s Heathland Heart Project from Back from the Brink with a team of SUBU Wildlife Conservation Society students. The aim is to make and monitor microhabitats for the rare Purbeck Mason Wasp. These need special bare ground patches on heaths in which to make egg burrows. We will create varied patches and test which are used most by the wasps and other burrowing insects. This project will inform habitat and species management plans for the Purbeck Heaths and the Purebck Mason Wasp. 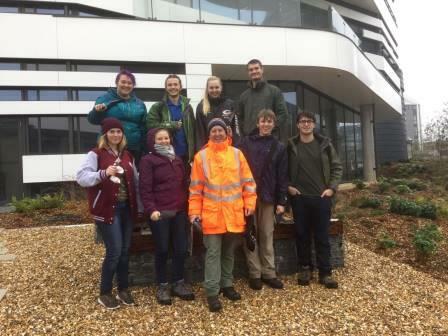 “Enthusiastic help from the Bournemouth University Purbeck Mason Wasp SERT made a real difference in our efforts to clear gorse and create scrapes for bare- ground loving invertebrates on Godlingston Heath for the National Trust under the Back from the Brink project. We look forward to a productive ongoing collaboration with the students, who will be returning to monitor the success of the scrapes”. Sophie Lake, Back from the Brink. This research tested the hypothesis that limpet species adapt to changes in temperature at the expense of adaptation to other stressors. We examined limpet shell morphology on four shores in each of three regions, from Northern Spain to Southern Portugal. Follow the link to our paper to see what we found. This project is part of an ongoing collaboration with the National Trust Purbeck office to inform conservation management by monitoring wildlife across this most biodiverse part of the British Isles. We piloted a new protocol for monitoring heathland which the the National Trust have developed for use across the UK. We also examined the effect of grazing on heathland at Godlingston Heath and monitored the success of heathland restoration following removal of conifers at Slepe Heath. 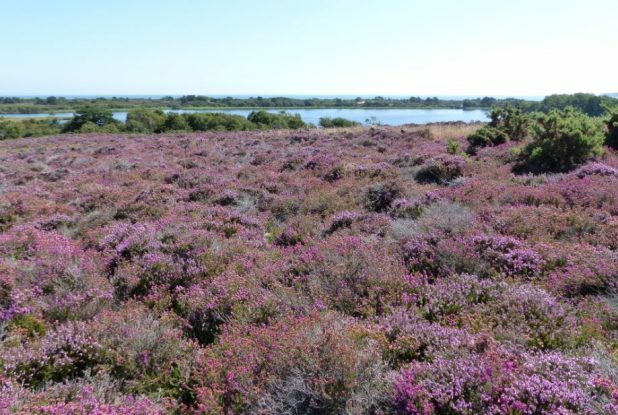 Results will be used by the National Trust to finalise their new heathland monitoring protocol and to inform their management planing for Purbeck Heathland. I was fortunate enough to have been team leader during this Purbeck Heaths and Mires Wildlife SERT 2017. 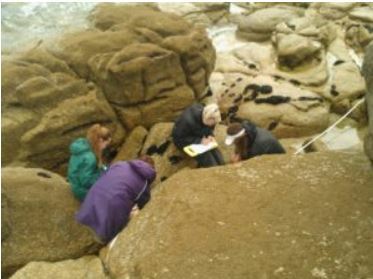 Working in collaboration with the National Trust and collecting data as a team on behalf of them and Bournemouth University has instilled a great sense of pride. Being made aware of the significance of this data has made me realise how important the protection and management of Heathland habitat is. I have learnt skills that have put me and the team in great stead for the future. As an environmentalist/ecologist my knowledge has been greatly broadened. 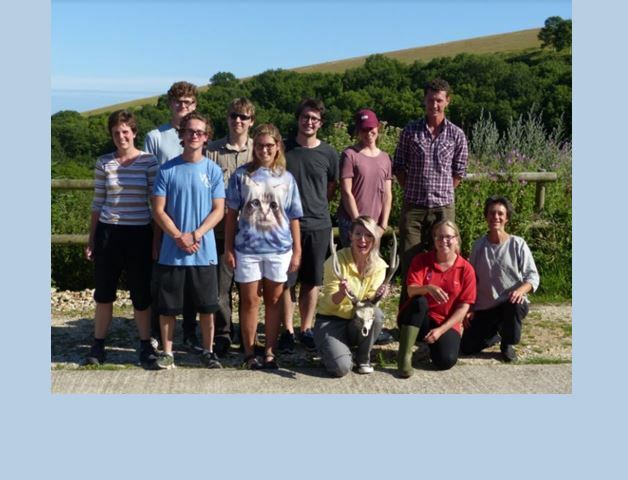 I had a fantastic and interesting time working in a small research group from Bournemouth University with the National Trust in Purbeck. During this period I worked with various different people, surveying the heathland and mires habitat at Godlingston and Studland, using different methods of surveying. Not only has it deeply aided with expanding my experience with surveying and data entry, but it also feels worthwhile knowing that the data we all collected will really make the difference and help the National Trust with their conservation work. During my time as a member on the Purbeck heathland SERT I collected valuable data to do with the local heathlands for Bournemouth University and The National Trust using two surveying methods. This improved many skills of mine including field work, communication, data entry and analysis as well as introducing me to plant species identification. 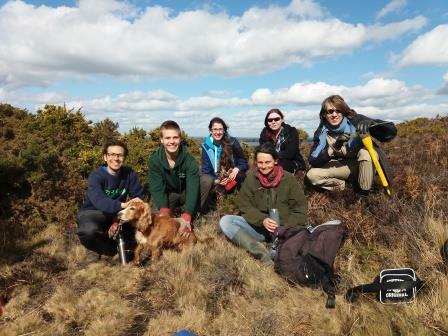 This partnered project with Bournemouth University and The National Trust has meant we have collected important field survey data on the Heathlands within the area. Which will then be used to create management plans to ultimately reconnect these habitats in the future; so collecting this data is a major importance to both figures. During my experience on the SERT I have gained major experience in field research which can only benefit me with the future of my degree and into my career. I have learnt a lot on this SERT with my identification skills of plants definitely having a major improvement. Taking part in this project has greatly improved many of my fieldwork techniques, from species identification to sampling quadrats in an efficient, yet in-depth, way. It was also very useful to work with the National Trust, as it provided experience working with a conservation organisation as well as giving a sense of achievement for aiding their survey work. Finally it gave me to opportunity to visit many beautiful and biodiverse sites and encounter many animals I had not seen before such as Nightjars, Heath tiger beetles and a Grass snake. This SERT took place in Norway in June, investigating the influence of bilberry cover on the habitat selection of the both economically and ecologically important moose. Seven students spent three weeks trekking around the boreal forest, carrying out sampling in all sorts of terrain. 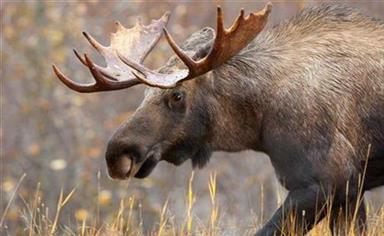 The results were given to local and national wildlife managers in Norway, and is being used to help create new management strategies for the moose population. In the 1960s, the moose (Alces alces) populations in Fennoscandian countries such as Norway have rapidly increased. Consequently, winter browsing by moose damages pine, which affects forestry and timber industries, adding to economic costs. However, hunting is also prevalent and used as an important source of income so moose numbers are often managed in high densities. It is therefore important to have an estimate of moose distribution across the country. This fantastic experience has helped me develop important transferable skills such as organisation, communication, team work and leadership. My identification skills and data collecting also improved by being able to apply them out in the field every day with a great group of ecologists! This was a fantastic opportunity as a research assistant to both get a feel for research as a career avenue and further studies, as well as to fully immerse myself into the boreal forest biome and to see firsthand the type of habitat and wildlife that inhabits these areas. The experience has been wonderful to develop teamwork, scientific and logistical skills, as well as make new friendships with fellow ecologists. A report and formal presentation was produced at the end to summarise the research project and it's outcome. Thoroughly enjoyed working in a sub arctic location for the first time and being apart of an incredibly relevant and present study. I am very grateful for having the opportunity to volunteer on this trip. It gave me the chance to discover a very different landscape to the one I am used to, but also the discovery of what fieldwork is necessary to complete and demonstrate a point made in a scientific paper. I have also been able to grow a relationship with the other volunteers of the project, which would not have occurred without our participation in the project. Having the opportunity to take part in this SERT has enabled me to see the importance of improving and learning both practical and soft skills in research outside of the UK. It was amazing to experience new terrain and wildlife. Volunteering on this placement has provided me with invaluable skills, not only to excel at university but has enabled me to carry forward skills in fieldwork which is essential for Environmental Science and developed many existing transferable skills I already possessed. 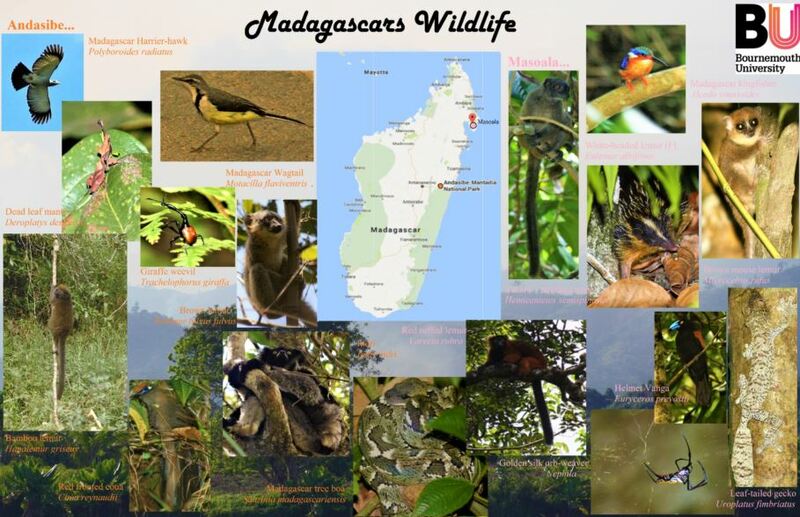 A team of ecologists from BU and BNSS joined Madagascan wildlife experts to explore Madagascar’s rainforest secrets. 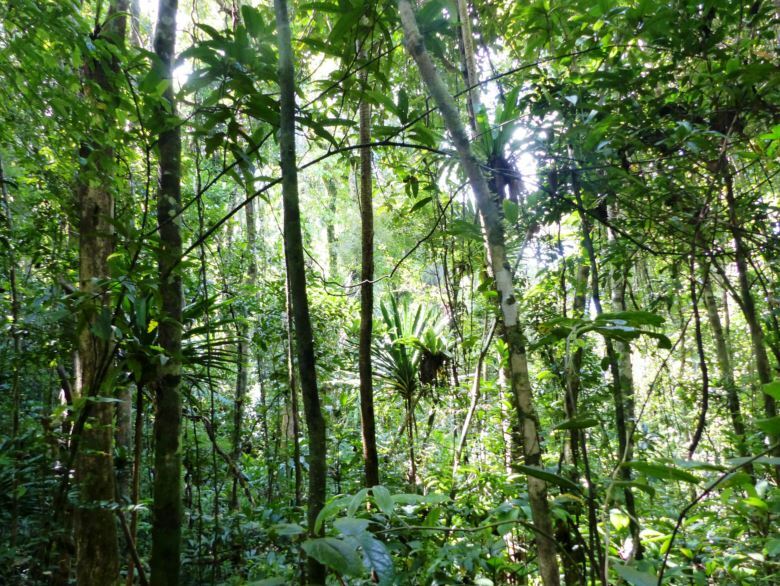 We researched rainforest restoration techniques by working with local conservationists to prove the importance of controlling invasive weeds. Our camera traps also revealed the presence of a rare species of lemur and of fossa, Madagascar’s endangered top carnivore. 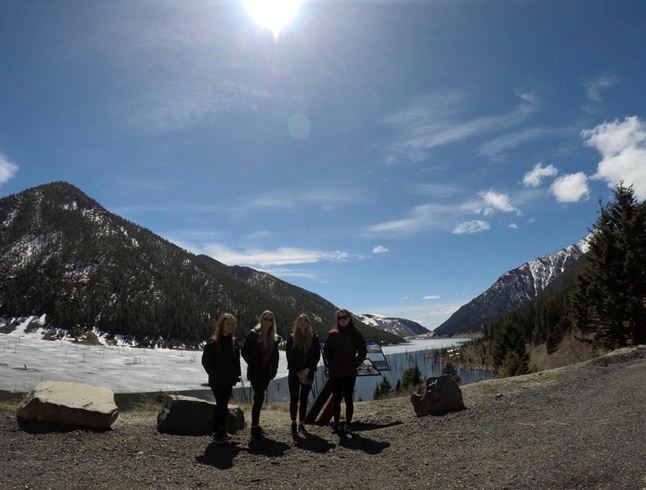 The opportunity to visit Yellowstone National Park was a once in a lifetime experience and the perfect place for a group of geographers to undertake fieldwork. To be surrounded by amazing landscapes, a whole host of geothermal features and an abundance of unique wildlife everyday was a privilege. The wonderful wildlife of Samloem (WWS) project has been supported by BU students on an on-line SERT that create short reports on the wildlife species WWS have identified so far during their preliminary studies. This project will help WWS to build booklets specific to our island wildlife to provide knowledge and awareness for local Cambodians, business owners and tourists on the importance of wildlife and the benefits they provide. This SERT placement has provided us with a once in a lifetime trip to one of the most geographically exciting places on earth, where we were able to see glaciers, waterfalls, volcanoes, explore a city recovering from a devastating earthquake and experience lectures in a classroom on the other side of the world. Coastal lagoons are possibly one of the scarcest habitats in the North-east Atlantic and are a conservation priority in Europe. In Poole Harbour, we are blessed with a wonderful example on the north-east side of Brownsea island that is of international importance. However, little is known of a small inlet at Seymours on the north-west coast of Brownsea . 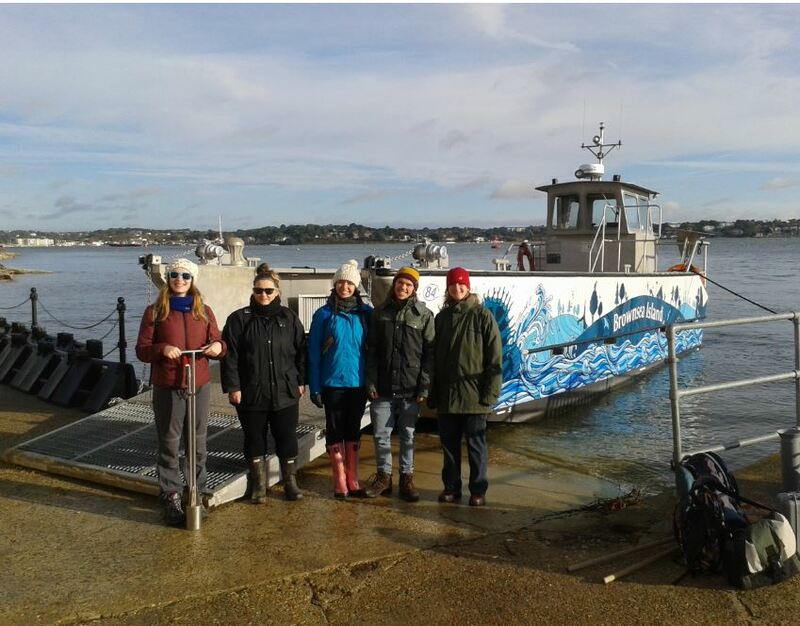 We aimed to survey its benthic fauna in association with the National Trust, Dorset Wildlife Trust and Natural England. As part of a SERT, I surveyed a newly described lagoon using standardized sediment core methodology to assess the infaunal biota, and took salinity, temperature and dissolved oxygen readings to better understand the abiotic characteristics. Faunal specimens were picked from the sediment samples under binocular microscopes and identified to species taxonomic level where possible. This survey has also formed the basis of my dissertation which involves comparing the biodiversity of the new lagoon with two other lagoons in Poole Harbour, and understanding the factors that affect distribution of species within a lagoon. 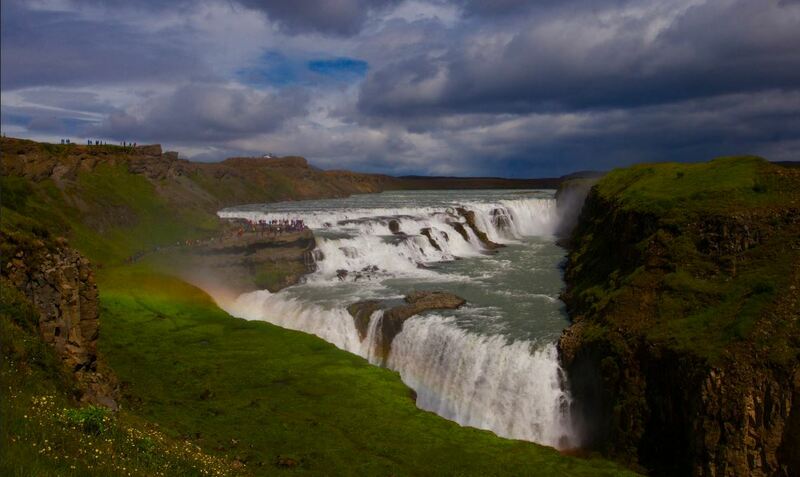 A group of four students visited Iceland to think about whether it would be a good destination for students to visit for long placements or study abroad in future. They planned an itinerary and decided on their outputs, all agreed with their academic mentor, Dr Pippa Gillingham. Whilst the SERT students were unable to fully complete their original objective (Icelandic universities operate on a different timescale to UK ones), they still produced some insights into student life in Iceland as well as providing useful outputs that have been used in programme seminars and at open days. 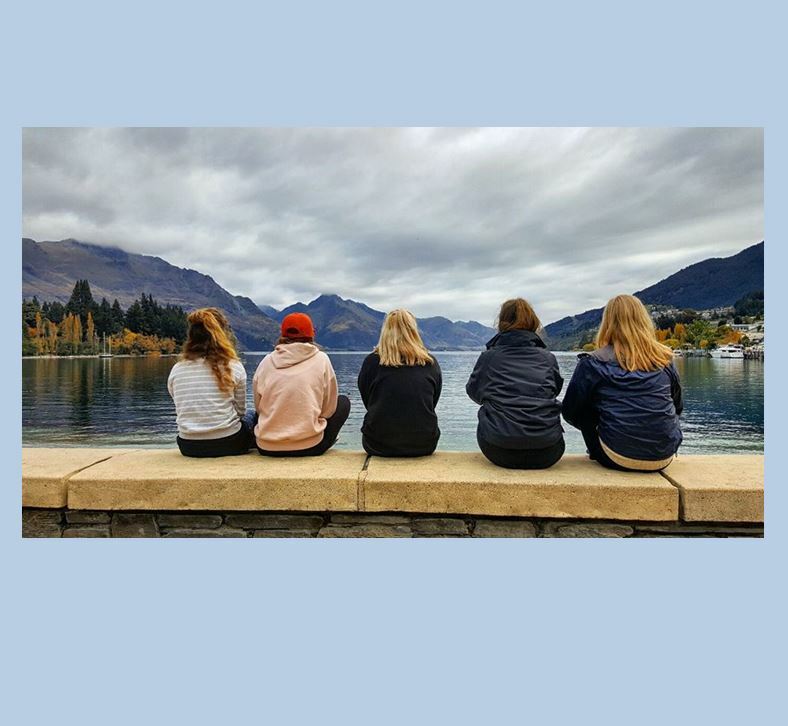 Their video in particular has inspired the subsequent year to undertake similar fact-finding trips to other destinations which could help in setting up partnerships for study abroad. Partaking in the team based research SERT project to Iceland, carried out within the SciTech faculty, to investigate Iceland as a potential student destination was hugely beneficial in allowing me to develop both professionally and personally as a geography student. Through the project we effectively managed to create blogs, videos and a google tour of our time in Iceland suitable for dissemination to other students and researchers. Cementing the potential for future Bournemouth University students and researchers to undertake a semester abroad or a 40 week placement in Iceland. For this SERT placement we were set the task of researching whether Iceland is a possible destination for BU students to study. Whilst there we created a google tour, a video diary and a blog. We explored Reykjavik in great depth and visited the university (including the earth sciences faculty building). We were fortunate enough to visit some of the famous geographical features on the island and also experience student life while staying in our own rented house. Overall, it was an amazing experience and I would recommend visiting the country to everyone. The placement tested me all whilst developing and branching out my professional, group and planning skills. It was a professional challenge and I think has prepared me to take more responsibility within group tasks and also to conduct research work abroad. This placement has made me realise the value of culture and how in the future I may be set a similar task to venture abroad and collect research in a professional manner. Taking part in the SERT research project in investigating Iceland as a potential student destination greatly benefited me as a geography student, and it enhanced my ability to work within a team. We were able to visit many key geographical locations in Iceland and also visited the city of Reykjavik and its University campus. Whilst on the trip we collated blogs, photographs and created a google tour of all the areas that we visited. Overall the trip was definitely worthwhile, and hopefully it will allow for future Bournemouth University students to partake in similar ventures. The Talbot campus is changing fast and BU is keen to make sure it is attractive to wildlife as well as people. One of the ways we are doing this is to plant bulbs of wild flowers that will provide nectar and pollen sources as well as look beautiful. In November 2016 a team of students and staff planned and led the first plantings around the Fusion building. We will monitor which plants do well on campus, are useful to pollinators and liked by people. The success of the scheme will be monitored to inform future habitat creation on campus. This project is part of study evaluating the success of management at conserving biodiversity and archaeological features on protected land. It will involve a multidisciplinary team of students joining our team and producing joint site evaluations. The team will receive training in site evaluation then complete fieldwork and desk based studies to collect data on the ecological state and preservation of archaeological features of sites identified as either well or poorly managed by site managers. All participants will be required to contribute to data entry and to writing up results as a report. The SERT will count as a five week placement. Student groups this opportunity is likely to most suit: Archaeology, Archaeology and Anthropology, Ecology & Wildlife Conservation, Biological Sciences, Environmental Sciences, Geography. The legacy of the project is ensured through our close collaboration with local conservationists who have welcomed our study as part of their ongoing efforts to protect the Sumatran wildlife. 'Whilst undertaking my MRes in North Sumatra on the abundance of Hylobatidae species in relation to forest canopy structure, I co-supervised a two week field course for BU students to learn practical fieldwork skills as well as provide first-hand experience of conservation issues and human wildlife conflict within the country. Not only did this placement provide invaluable experience for the students and raised awareness in country through media attention, it allowed me to develop skills in a supervisory role which is invaluable in my future career'. During my time in North Sumatra, Indonesia, first hand experiences with primates allowed me to further observe, understand and experience many aspects of primate behaviour, ecology and conservation that I had learned throughout my five years at Bournemouth University. Participation in the collection of primate vocal data for an ongoing research project allowed me to understand the context, logistics and certain methods of the research process for a contemporary and relevant field study in the field of primatology. Aside from the career-related aspect, I also gained many personal skills and experiences, namely interacting with local Indonesians and learning about their lifestyles, cultural values, traditions and mannerisms. All of this being in a completely new country, and continent for that matter provided a very rewarding and inspiring experience. Working alongside an experienced researcher who has many connections in Sumatra we met many key individuals involved in conservation. This was extremely insightful as we were able to visit conflict sites and have meetings where we were educated on all the issues and actions carried out to limit conflict. This contributed to my intercultural experience and skills as, in a country of greater poverty, the conflict is greater and far more difficult to limit. This was important to understand as I learnt that different approaches must be taken to consider ways to benefit everyone and gain support of all individuals as legislation alone is not adequate to provide sufficient protection. I appreciate how important it is to adapt actions taken towards conservation for the general benefit of all concerned; this will be different in every country and even in individual regions because of the varied, often conflicting, interests being represented. It also showed me that education is key and in lots of other countries conservation is not a priority and many people are unaware of the importance of it. The approach towards education of these issues must be taken with consideration however I have learnt that with access to knowledge, and by providing education, greater achievements can be made towards conservation. 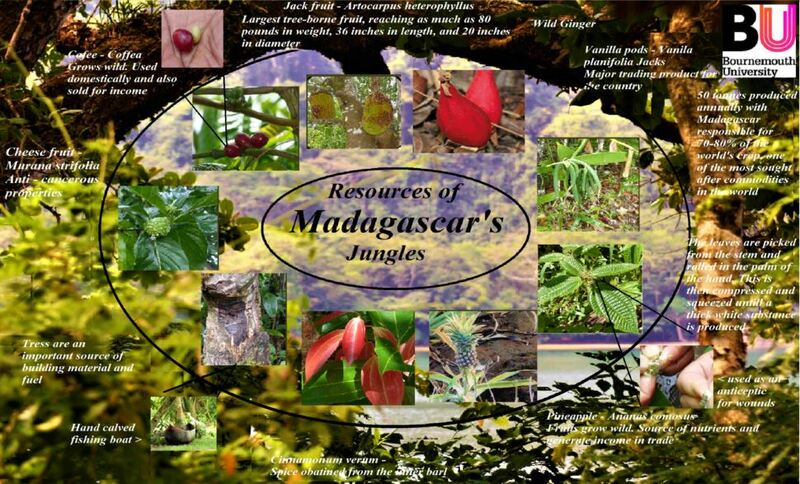 I explored the forest ecosystem and participated in research of the primates. We also investigated the best solutions for human-elephant conflict. This placement was a great experience and a real eye opener to some of the conundrums concerning conservation not only in the tropics but elsewhere. I enjoyed working on practical field skills such as audio spatial array, as well as on my people skills, for example approaching and communicating with strangers in order to carry out surveys, as well as discussing results and thoughts with other team members. I gained first hand experience in human wildlife conflicts within Indonesia as part of the L.E.A.P project, focusing mainly on Orangutans and Elephants and problems they face with deforestation and increase in human population size. This attracted media attention and has raised public awareness. I was involved in listening to primate vocalizations to estimate population density and family group locations. Also in using butterfly traps to identify butterfly species and learning how to correctly hold them for photographic identification, how to conduct bat surveys and using equipment to identify species and how to install camera traps correctly. I used questionnaires to ask visitors to the area about their experiences to increase my knowledge and understanding. My role on the placement was to investigate tourists attitudes towards eco-tourism through the creation and distribution of questionnaires. Through the placement I was able to learn practical conservation skills such as primate arrays as well as being introduced to the logistics of working in the field. I have gained an enthusiasm for field work away as well as a recognition of the trials facing conservation in a wider socioeconomic setting. Relatively little is known about the behaviour and ecology of savannah chimpanzees. 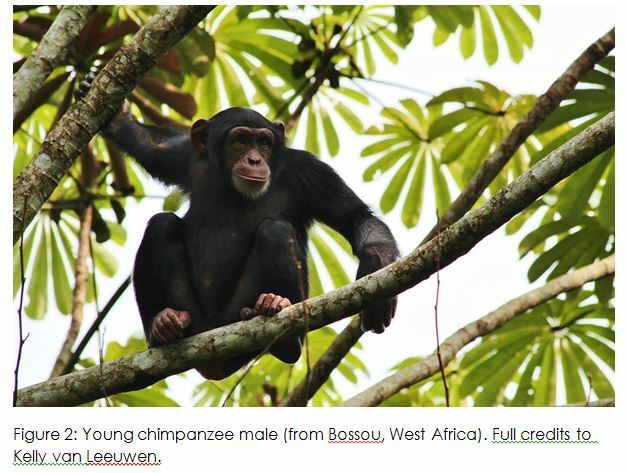 This SERT project offers students the opportunity to support data collection for 2-8 weeks for our PhD project that looks at the landscape use of savannah chimpanzees in Issa Ugalla in Tanzania. The SERT students will mostly support vegetation data collection but will also have the opportunity to join a ranger on a chimpanzee follow day or to observe other savannah animals. The project forms part of the LEAP: Landscape Ecology and Primatology research programme. This project is part of a collaborative project with National Trust that is providing long term monitoring of wildlife in Purbeck to inform conservation management planning. The research carried out this year measured the recovery of heathland after widespread attack by heather beetle (Lochmaea suturalis) last year and contributed to a wider evaluation of the impact of sika deer on woodlands. I trekked through heathlands, woodlands and the occasional mire to collect important survey data on pollinators, hoverflies (sweep net), activity and impact of Sika Deer and the condition of different heather/vegetation. This has been an unmissable experience learning new transferable skills and knowledge out in the field. While on the Bournemouth University SERT I carried out a variety of vegetation surveys across the Heathlands of the Isle of Purbeck, as well as deer impact assessments and pan trapping for pollinators. Throughout the various opportunities I have exponentially increased my knowledge of flora, invertebrate and mammal ecology as well as species identification. Whilst on the Purbeck SERT I carried out vegetation and pollinator surveys at several heathland sites as well as deer impact surveys in the woodlands. As a result of the SERT I gained many skills including sweep netting techniques, identification skills for both invertebrates and heathland flora and using a GPS out in the field. During the SERT I completed a series of random quadrats whole site surveys and pollinator transects at multiple sites of heathland as well as doing deer impact surveys. Over the course of the SERT I learnt many ID skills of heathland plants and skills of sweep netting and using a GPS. I participated in a range of ecological surveying techniques across different habitats on the Purbeck peninsula as well as preparing presentations for the National Trust. This helped me understand the work ecologists do in the field and helped me gain some valuable experience. Over the two-week placement at Purbeck, we participated in ecological research such as habitat surveys and deer impact assessments. This helped develop research skills and opened up new opportunities for the future. During the Purbeck SERT, did Heathland and Woodland surveys for the National trust. For the Heathlands, surveyed the heaths and pollinators. For the Woodlands, looked at deer impact and activity and the effects on the woods. Gained immense knowledge on flora and insect identification. Also, gained valuable skills such as sweep netting and new survey techniques. This SERT is in collaboration with Moors Valley Country Park. Moors Valley has SSSI status partly due to its abundance and diversity of dragonflies. 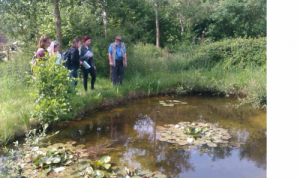 The aim of the SERT is to conduct river habitat surveys and biological and chemical pollution tests on the Crane/Moors river that runs through Moors Valley Park and highlight any areas that can be improved to support their resident dragonflies. The team are going to conduct the surveys this summer and feed back to Moors Valley with a presentation this September. 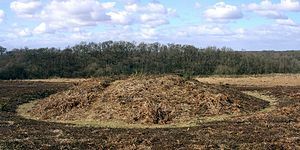 This work will allow Moors Valley to target their limited resources to specific areas in their large site which need management. Either for dragonflies in the clearing or modification of bank vegetation or the tracking of die back in the Alder trees. My role on the SERT as well as collecting the necessary river data to assess habitat for the river crane, was being equipment manager. Hiring out the equipment for fieldwork when needed. Since starting this SERT I have been able to work on my organisational skills, via hiring equipment and keeping track of tasks completed and those requiring completion. I have been able to effectively work in small groups with people I did not know before starting and communication has been effective. This SERT has given me independence, due to the fact my supervisor guided and trained me for the fieldwork but it was ultimately down to individual judgement and knowledge that allowed for accurate surveying. I have learnt about habitat assessments and management of rivers that can be applied elsewhere. What I have enjoyed the most though is being a part of a project that requires my help to report vital real life habitat management suggestions. Enabling focused considerations that will help to make conserving the Damselfly and Dragonfly species at Moors Valley River Crane possible. Whilst taking part on this specific placement, I was responsible for recording crucial data which was observed at several different intervals upstream of the river. This data included measurements such as depth of river as well as visual observations like dispersal of foliage. Number of dragon and damsel flies where assessed also, as to highlight any correlations between habitat types and species density. Relevant equipment was provided in order to collect the data as accurately as possible. I gained many skills due to taking part on the placement, such as the capability to accurately and efficiently complete the field survey. I also was able to identify several different damsel and dragon fly species without the aid of an identification guide. I also learned how to recognize alder trees which were inflicted with alder disease. 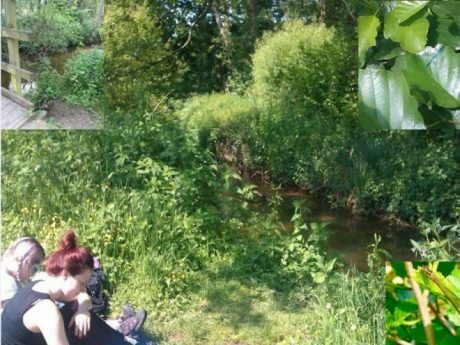 As part of the team surveying the River Crane set in the Moors Valley Park, I collected measurements and data from the river including observing the bank and foliage for species of dragonfly and damselflies as well as transferring that data onto an online forum for all members of the team to see. I learnt a great deal during my placement at the River Crane; for instance about the great variety of dragonfly species and how their biotic and abiotic requirements give them a specific niche within a river environment. I learnt how to efficiently record data as part of an ecological survey and what kind of data needs to be collected in order to evaluate the suitability of an environment for different species. The two main roles I was allocated for the duration of the River Crane SERT were as follows: 1. I was in charge of running the social media elements of the SERT. This involved setting up a ‘SERTs’ Instagram account and uploading photos in accordance with our field work and any activities that were carried out/species spotted. Hopefully other SERTs departments will be able to continue using this Instagram account for other projects in the future. 2. My second role in this SERT was to ensure that all appropriate equipment was booked and collected in advance of field work days to guarantee a successful day working on the site. Without the collection of this specific equipment, we may not have been able to undertake certain activities, leading to less success in the field. Items that I booked and collected were Nikon DSLR Camera, Metre Rules, Tape measures, Clipboards, GPS’, and nets for kick sampling. Other than my two specific roles, there were also other roles that I undertook as part of the group effort. Some of these role included taking down data at the sites, observing dragonfly behaviour in the field, data entry and report writing for the final project summary. This project is part of a long-term collaboration with Picos de Europa National Park, Spain, Bird Life International and University of Leon. It investigates key ways in which environmental change is affecting ecological in alpine heathlands and forest ecosystems in the Picos De Europa. This year we tested 1) the effect that deer grazing is having on bilberry as a food resource for e.g. Capercaillie and Brown Bear 2) What are the long-lasting ecological effects of mining for metal ores – do plant species translocate toxic metals in the soil to shoots where they become available to grazers? The results collected in these studies are being shared with Picos de Europa National Park to inform their ecological conservation management decisions regarding management fof wild and domestic herbivore grazers. On the picos SERT I was helping out as a research assistant as part of the student team. Personally I gained the knowledge and confidence in being able to complete surveys efficiently and still make them accurate. On the SERT I was a research assistant. This meant that I contributed to field based data collection in a range of conditions, report writing and data input. This gave me valuable experience and knowledge in collection techniques, species identification and methodology implementation. As well as the opportunity to further improve transferable skills, such as time management, interpersonal communication and team working. Being part of the research team during the PICOS SERT was a very eye opening experience. 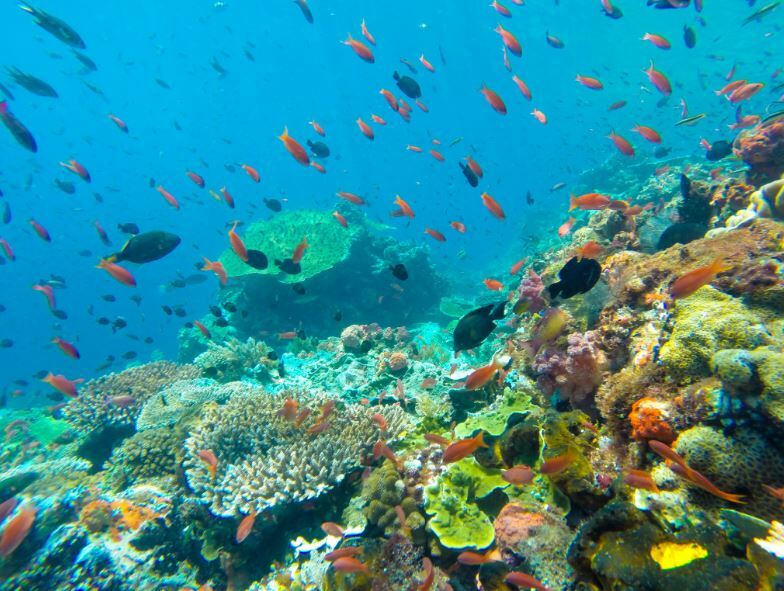 I gained knowledge of how intricate ecosystems are and how best to maintain and manage them. I was able to practice plant and invertebrate identification and have gained confidence in doing so. During this time I was able to gain experience in designing an ecological study and implementing it with a team of other researchers. Being able to communicate effectively with my peers whilst conducting this work enabled me to learn different styles of working. The work that was conducted included collecting data from various sites. This data then had to be inputted online. I have never worked in another country before, this experience allowed me to learn how to communicate despite language barriers. I was part of the student team working in collaboration with BU lecturers and the University of Leon, to investigate various ecological issues within the Picos de Europa National park. My roles included data collection, in the form of field surveys, experiment planning, design and implementation, data input and report writing. Taking part in this SERT I learned valuable field skills, improved my species identification, time management, learned the importance of adaptability to difficult or unforeseen circumstances, and how to work well as part of a team made up of many different personalities and working styles. In this SERT, I was one of the research assistants collaborating with the professors at University. In my experience, I developed my time management for effective data collection, my confidence in sampling methodology and my ability to acclimatise to challenging working conditions. 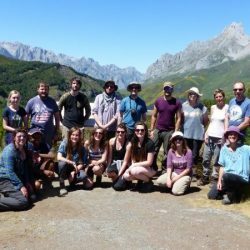 On the Picos SERT, I worked as a field assistant, working within a team from Bournemouth University, in collaboration with the Picos de Europa National Park and the University of Leon. My role included managing and undertaking a wide range of ecological surveys, as well as data input, planning and report writing. This experience has helped to improve my communication and interpersonal skills, as well as my leadership, planning and task management. People work in different ways, so it helps to be adaptable and flexible in order for the team to function at its optimum. These skills are also required when things don’t always go to plan, which is often the case out in the field. Working in the uplands has helped to improve my existing knowledge of plant species. On the Picos SERT, I was assisting Bournemouth University staff in conducting research as an undergraduate student. During this expedition, I acquired first hand experience of various data gathering techniques and gained knowledge of the local ecology, whilst overcoming many challenging activities that would test me both physically and mentally. On the Picos SERT I was part of a student research team working in the Picos de Europa with lecturers from Bournemouth University and Leon University to carry out important ecological studies. I gained skills in data collection and new knowledge in species identification. I also became more confident in my role as a team member and overcame difficulties while working in challenging conditions. On the SERT, I was undertaking research in the Picos de Europa as part of a team of students and staff from Bournemouth University. During my time on the trip, I gained data collection skills from a variety of studies which also gave me knowledge and understanding of local ecology. The SERT contained a series of challenging activities which made me more confident in both my physical and mental abilities. During the Picos de Europa SERT I worked as a research assistant with my fellow students in what proved to be a challenging, yet incredibly rewarding experience. My ecological abilities and confidence has greatly benefitted from this practical hands-on experience. During the project abroad in Picos de Europa, Spain I was able to experience new culture and gain new skills working in an environment, different to any other I have previously worked in. Never before travelling for work, I feel I have gained a stronger mentality which, will benefit me in the future workplace. I worked alongside a team which I saw grow throughout the remainder of the project, any discrepancies between working styles were noticed and worked around; forming a stronger bond. My role during the project was a research assistant, collecting data in the field on various sites. Surveys included finding data on pollinators, insect traps for identification, flora surveys for species habitats and controlled areas to understand the impact that species have. This data was then inputted into a new online system through gmails, reports were also written in small teams. I participated in a Student Environmental Research Team in the Picos de Europa with other students from Bournemouth University and our lecturers. Our University and the University of Leon were working closely together to carry out important ecological surveys where the data we collected will be used to inform important decisions. I have gained field experience, working in a professional team in some challenging conditions. My knowledge of different habitats and environments along with species identification immensely progressed throughout this SERT. On the Picos SERT, I was a research assistant on a student based team. Assisted in data collection, experiment planning and team building. Gained experience and better knowledge in data retrieval and implementing experiments. Also gained a better understanding in flora identification. During this SERT in Picos, I worked as a research assistant collaborating with professors at Bournemouth University and Leon University. I contributed to data collection for a wide range of ecological surveys, in addition to; data input, report and blog writing. This expedition required us to work in challenging conditions, and through the week I became more confident in my ability to complete the required research and tasks. Moreover field experience enhanced my skills in species identification significantly throughout this SERT. From my experience I gained numerous transferable skills, such as organisation, time management and working within a professional team. You can complete an Individual Work And Skills (IWAS) log as part of your SERT project. It shows what activities you did and what employability skills you gained as a consequence.